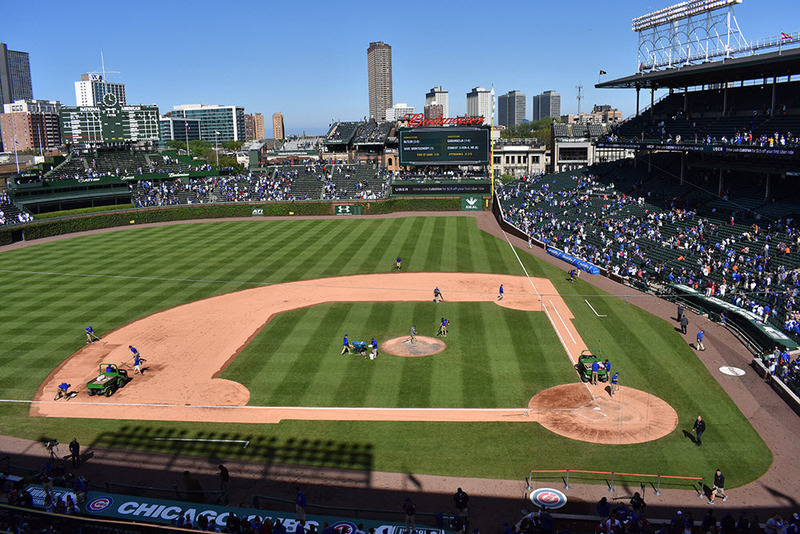 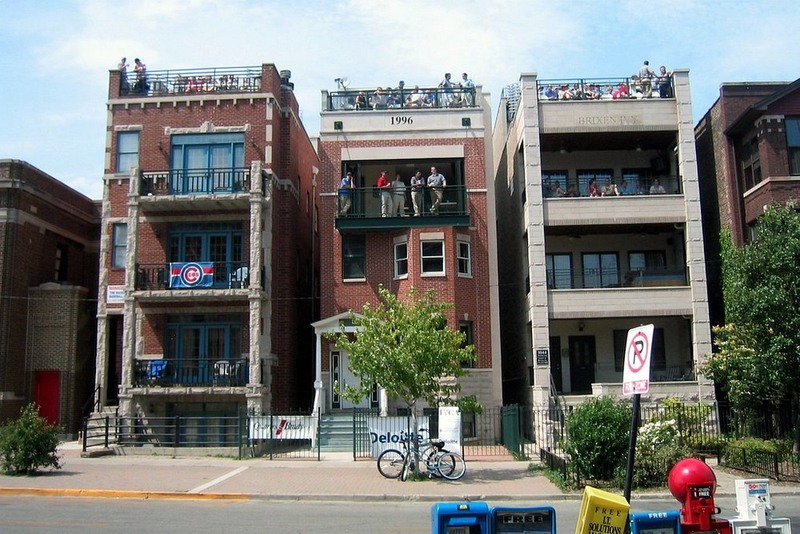 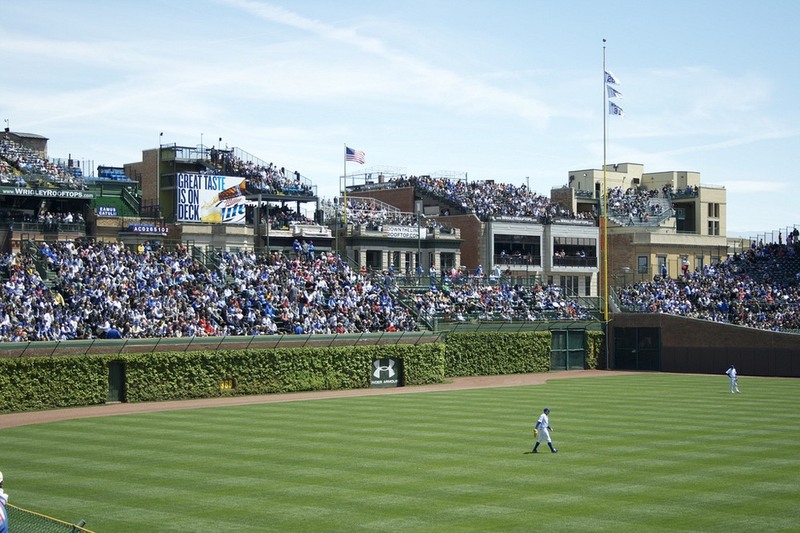 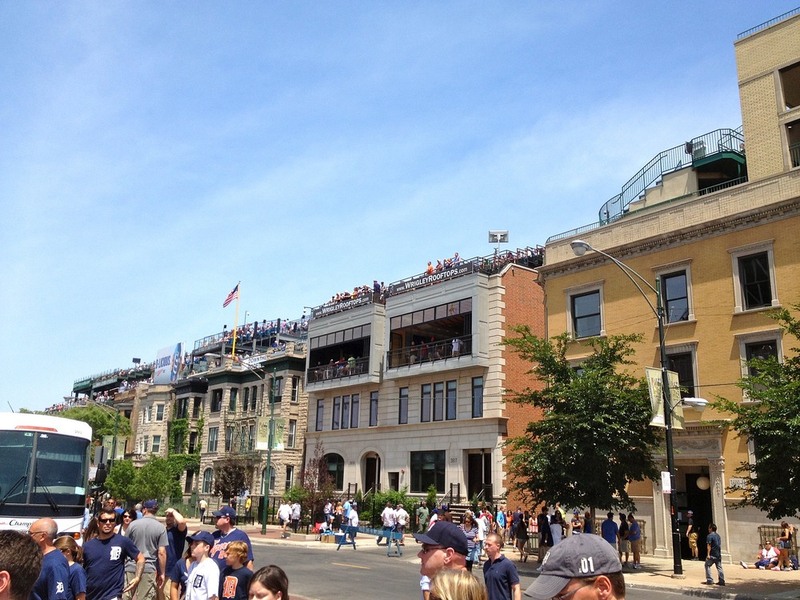 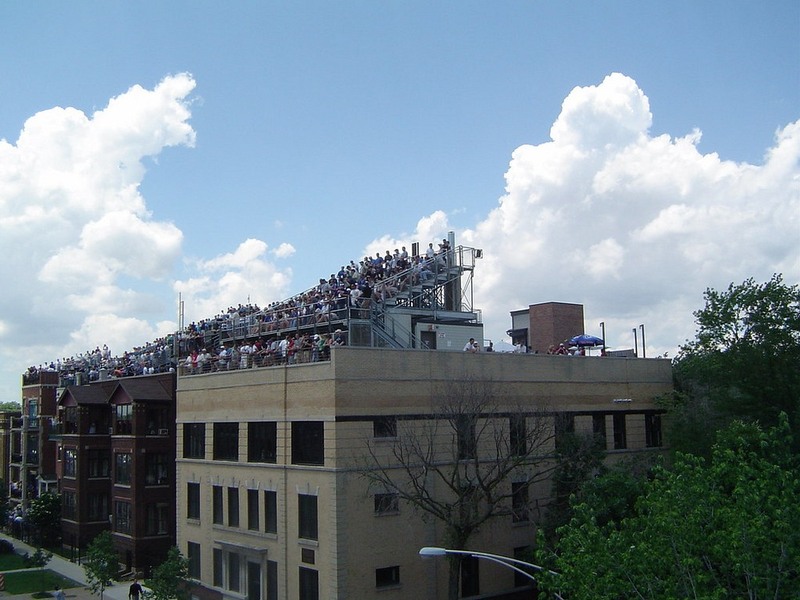 The empty stands of Wrigley Rooftops. 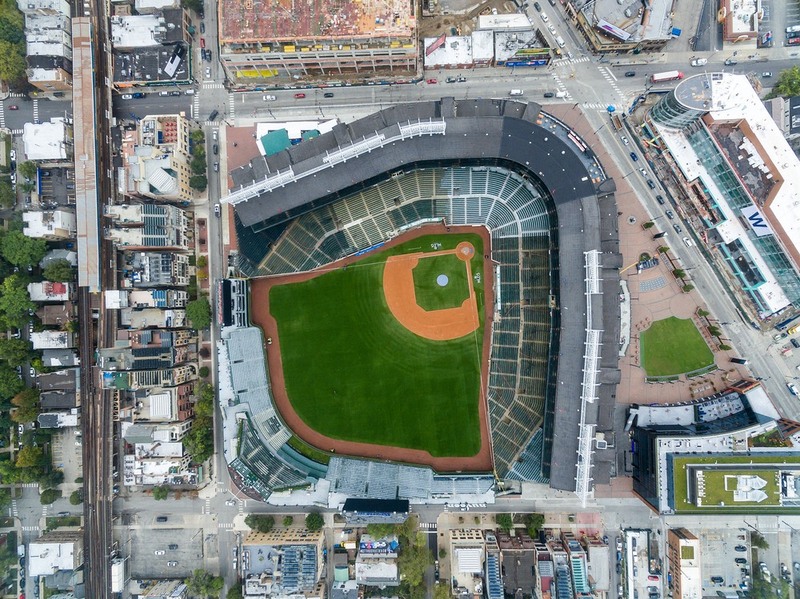 Aerial photo of Wrigley Field. 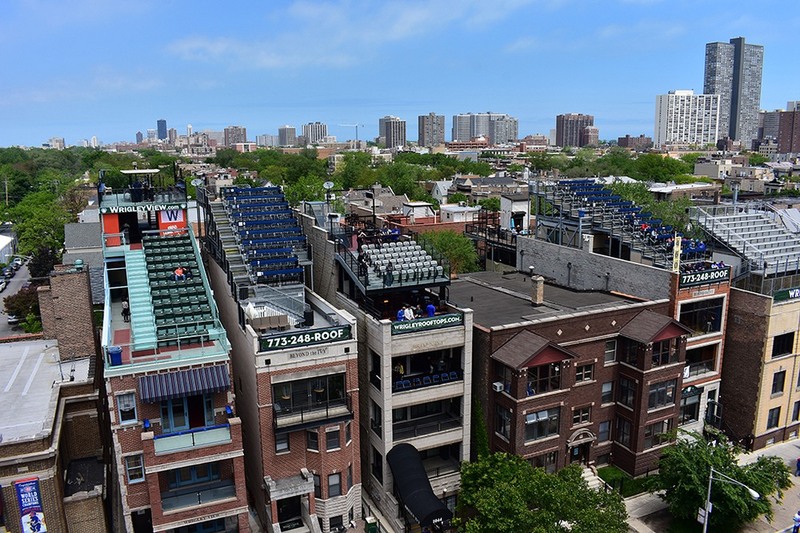 The rooftops are on the left and bottom.